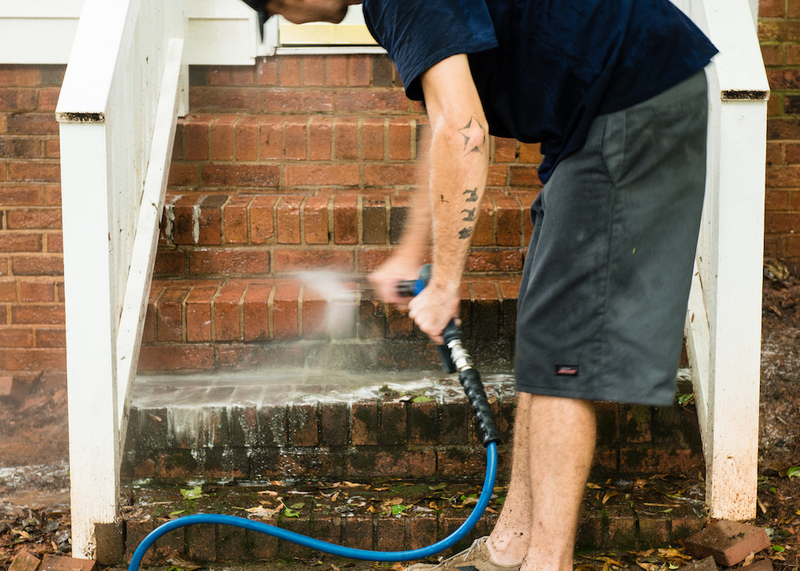 Clean, protect and extend the life of your home’s exterior surfaces with professional pressure washing services. Our Kansas City area pressure washing company has perfected a pressure washing technique that is easy on your home but hard on dirt, grime and mildew. Give your decks, fences, siding and hardscapes some much deserved TLC, and call Renew Crew of Johnson County today. Wood: Give your deck and other wood surfaces a heavy duty clean and protect it from everyday wear and tear with controlled pressure washing services and a UV-blocking stain. Concrete: Clean, protect and transform the look of your garage, basement and other concrete floors with CrewCoat, a durable and chemical-resistant top coat for concrete. Hardscapes: Remove stubborn stains on your pavers, eliminate mold and algae growth and prevent further damage with a deep Renew Crew clean. Siding: Give your home the royal treatment. Let our team lift the dirt nestled deep within your siding and then seal it off from further damage. Our pressure washing company employs a proven 3-step process to strip away layers of gunk and leave exterior surfaces looking like new. Our solutions are eco-friendly and free of the harsh chlorines other companies use. Pressure washing can make a world of difference in the appearance of your home. Better yet, it can preserve your home’s exterior surfaces and extend the life of your decks, fencing, siding and more. Make a sound investment. Call Renew Crew at 913-661-9663 to schedule your free estimate today.